The general purpose of these bags, like most all plastic bags, is to store and protect items of variable shape and size from dust, moisture and other environmental factors. Clear Plastic Bags – Diversified Plastics & Packaging, Inc. 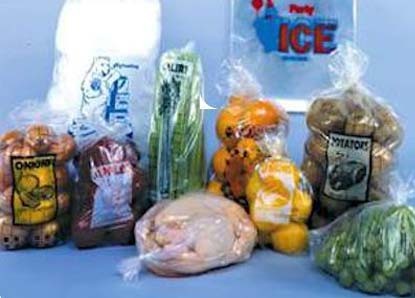 The use of these bags improves the shelf life of perishable food and other sensitive items such as photographs as they are acid-free and prevent evaporation and dehydration. The particular materials used to make clear plastic bags allow one to see through the bag which promotes product visibility. For this reason clear plastic bags are common to storage applications and inventory warehouses or stock rooms as they protect goods while allowing workers or customers to preview available items without opening each individual package. As the aforementioned materials used in the development of clear plastic bags are exceedingly versatile, they allow the use of these poly bags in a number of additional applications ranging from furniture covers and plastic garment dry cleaning bags to zip-lock food grade bags and plastic merchandise bags and even museum grade archival baggies. Although the use of plastic bags is declining due to increased environmental concerns regarding their slow decomposition, clear plastic bags are still widely used in display, promotion and other applications where visibility is essential. Some manufacturers have begun manufacturing “biodegradable” clear bags made from plant-based materials to increase the relevancy of this industry. While other methods, such as winding, casting and sheet extrusion are commonly used to create the film needed to produce clear plastic bags, blown film extrusion is the technique preferred by most manufacturers. This process begins with melting polymer resins into a viscous fluid that is then extruded through a special die. A hole in the center of the die allows cool air to be simultaneously blown into the plastic creating a bubble or tube of plastic with uniform thickness. This also cools the materials allowing the bubble to be collapsed and further processed as needed to treat, cure or create seams and seals for the bag. Low-density polyethylene, LDPE, is one of the most popular materials processed in this way to produce clear plastic bags. While many grocery and shopping bags are made of the high density form of polyethylene, low density has more strength and tear resistance. It also exhibits less branching which is the replacing of the polymer chain with other forms of the base monomer resulting in a frosted appearance. Clear bags should have as little branching as possible to remain transparent rather than simply translucent. 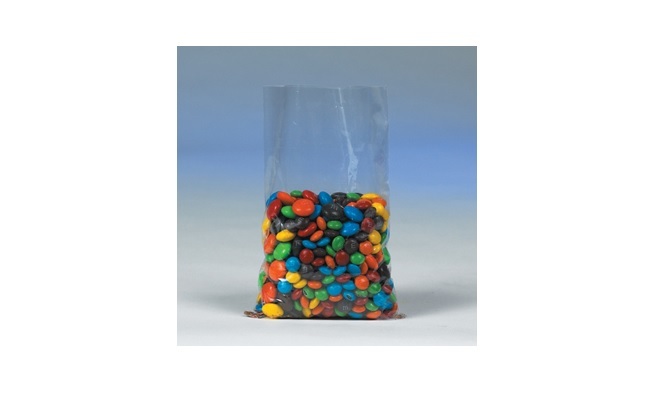 Alternatively, polypropylene bags are also clear and relatively low in cost. Acrylics and polyester resins can also be utilized in the production of durable clear plastic bags. Clear Plastic Bags Clear plastic bags are sacks or pouches made with transparent polymers such as low-density polyethylene and polypropylene.